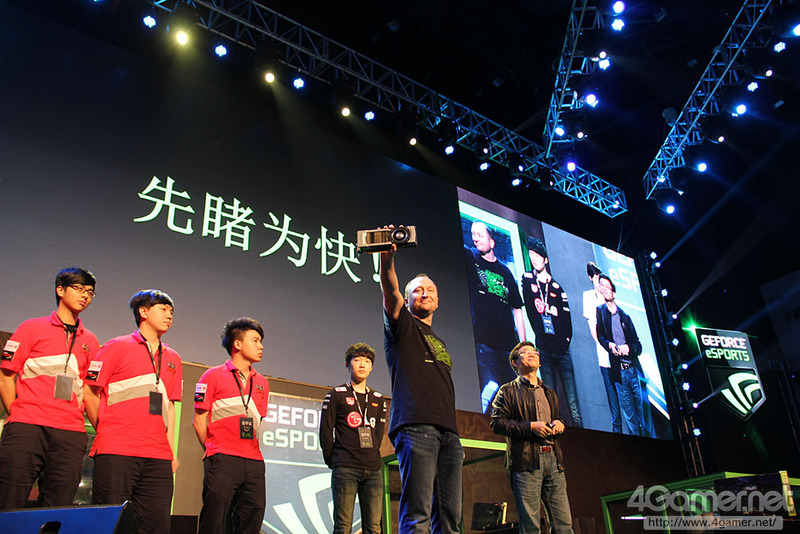 NVIDIA went ahead and publicly announced the flagship GeForce GTX 780 at the GeForce E-Sports festival in mainland China. 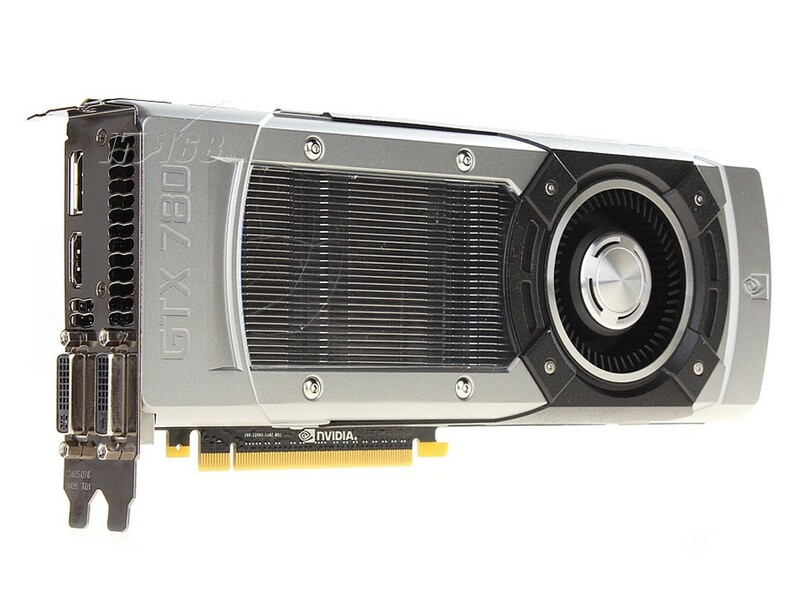 The GeForce GTX 780 would be officially launched next week on 23rd of May 2013. VR-Zone and 4Gamer managed to take some shots of the public announcement by Scott Herkelman, NVIDIA’s GeForce General manager, at the event which can be seen below. 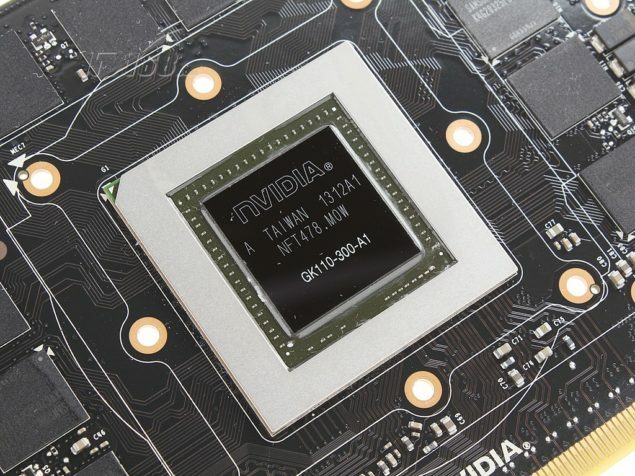 It doesn’t comes as a surprise for NVIDIA announcing or showcasing a GPU early before launch. 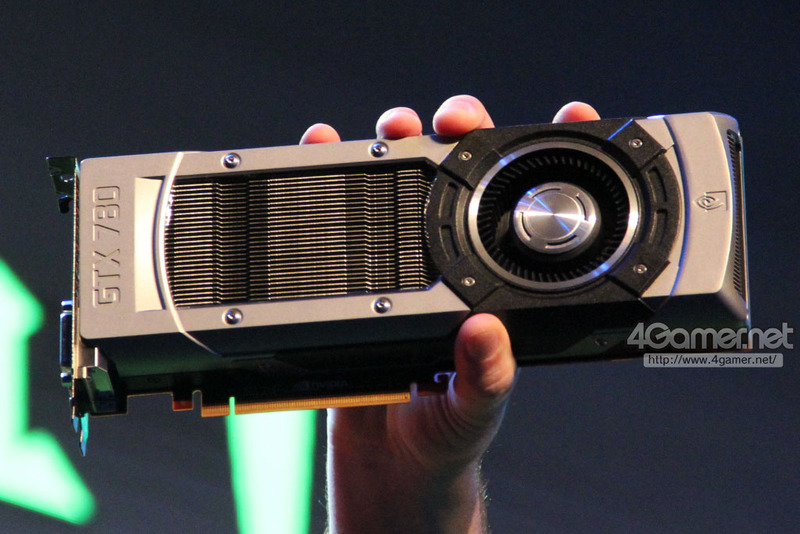 The company showcased their GeForce GTX 680 at GDC 2013 and ran a demo of EPIC’s Elemental demo through it. 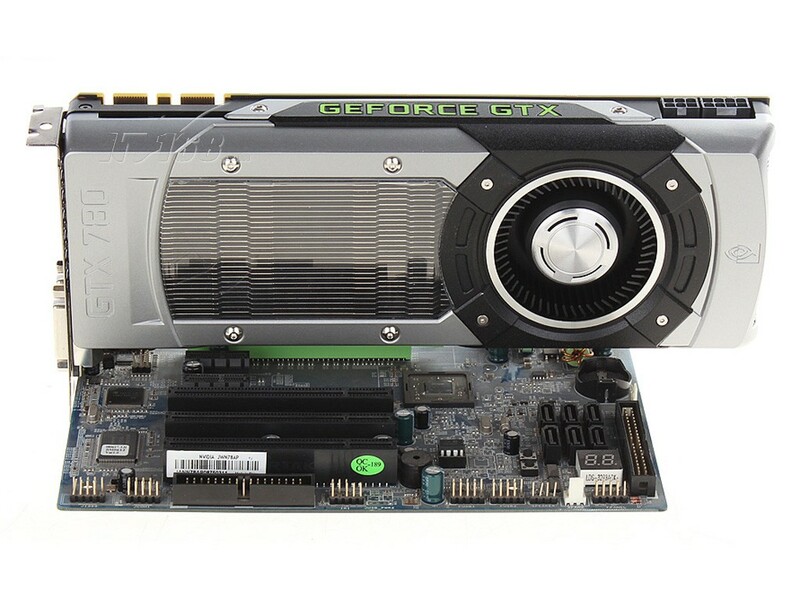 Later on, NVIDIA announced their dual chip GeForce GTX 690 at the NGF 2012 festival in China prior to official launch and availability. 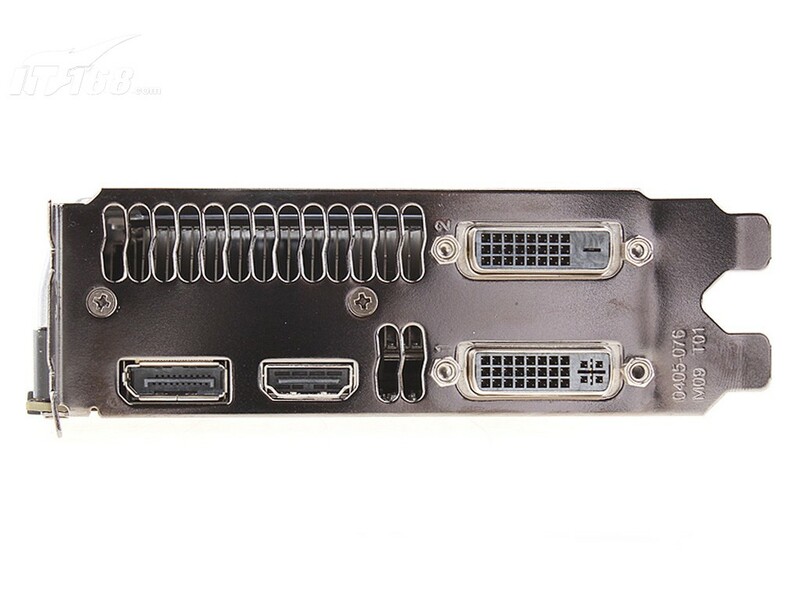 The GeForce GTX 780 would be announced in China but the official availability date is scheduled for 23rd May 2013 followed by GeForce GTX 770 a week late on 31st May 2013. The GTX 780 would be the flagship product of the 700 series and would be based on a cut down version of the GK110 core codenamed “GK110-300-A2″. This core would have 2304 cores and a 3 GB GDDR5 memory which would operate along a 320/384-bit memory interface. The core is maintained at 863 MHz with Turbo boost of 902 MHz while the memory operates at the reference 1502 MHz or 6 GHz effective clock speed. 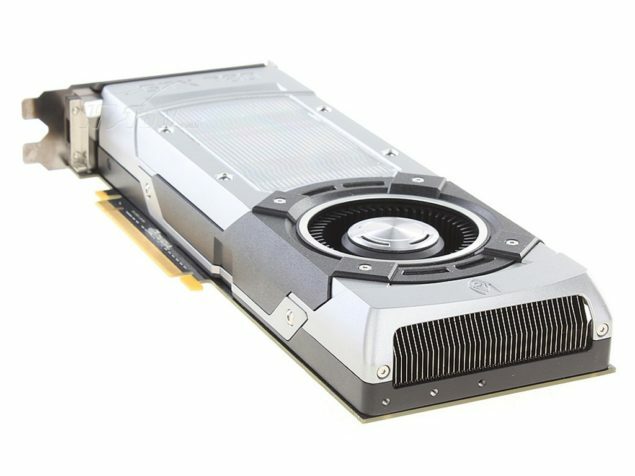 The GPU would make use of the cooler from GeForce Titan which would allow for better thermal specs providing users more overclocking headroom. The pricing is suggested around the 500-600, some are pointing out to a $799 mark for GeForce GTX 780 while overclocked models which would also be available at launch are going to cost slightly more. 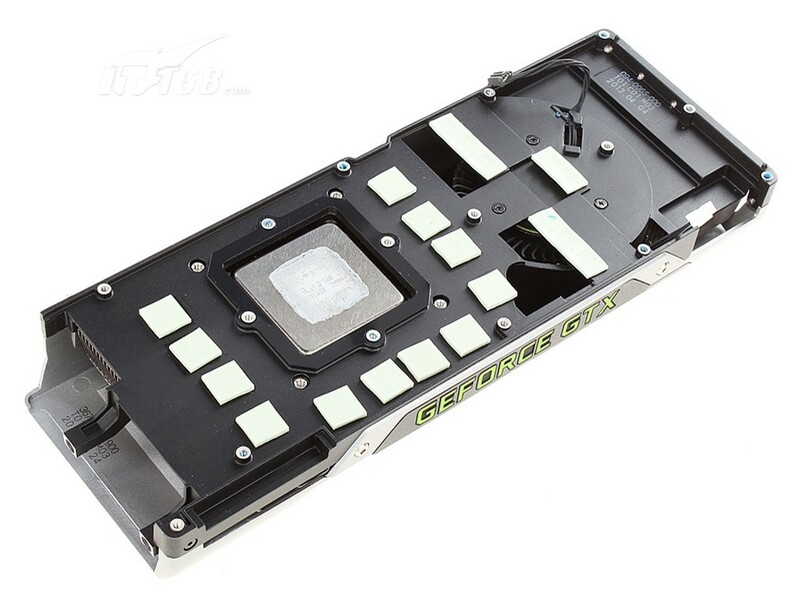 You can check out the be benchmarks for GeForce GTX 780 GPU here. Latest reports point out that the custom models won’t be available at launch but rather be released a bit late for an extra cost. 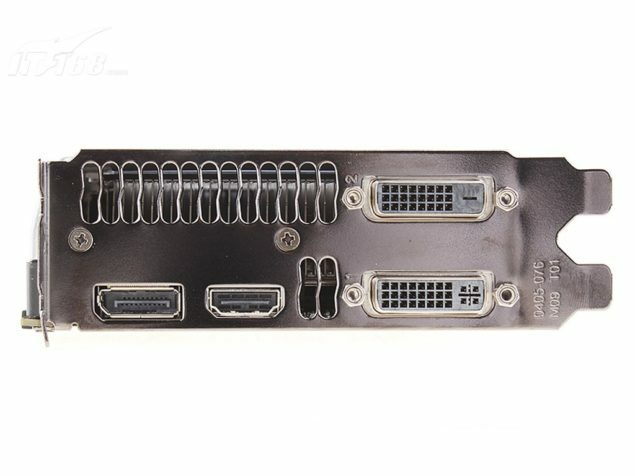 Following images are courtesy of VGA.It168!